As the account owner, you can upgrade or downgrade your plan at any time. 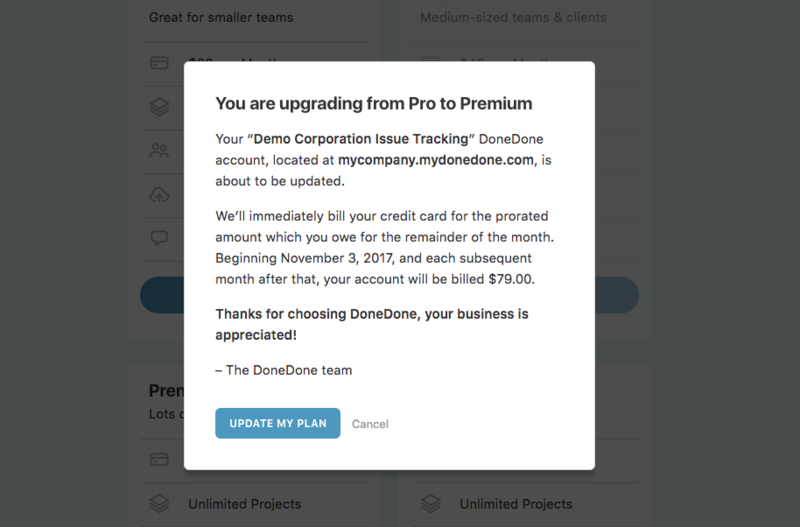 When you change your plan, DoneDone will automatically calculate the difference between the amount of credit you have for the remainder of your monthly billing cycle and the cost for the new plan for the remainder of the monthly billing cycle. Did that sentence made you do a double-take? 😀 Don't worry. All it means is we want to keep you on the same billing cycle by making sure we've adjusted any cost difference between today and the next time you're supposed to be billed. If you're downgrading a plan, this might mean you receive a credit, which will be reflected on the next invoice. Click the Global Settings icon in the upper-right, then click Manage Account. Click the Change Plans button on the navigation bar. 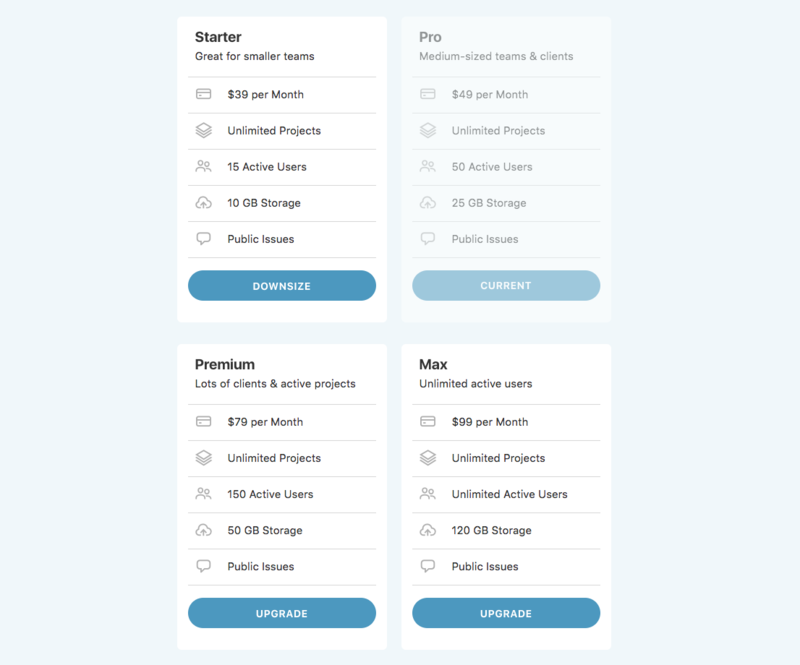 Choose the new plan you would like to upgrade or downgrade to. Note: If you are not eligible for a plan, the button will be disabled. Accept the confirmation pop-up by clicking the Update My Plan button. After that, you're all set!